The big apple and the taxman. This week I’ve been working on my book of stories. (See image.) Nine of the ten are finished. I’m saving the writing of the last one until I’m back from a week in New York. (I’m off on Monday and really looking forward to visiting somewhere I’ve wanted to go for a long time.) I really deserve a holiday. I haven’t had one for over a month. I’m holding fire on the writing of the tenth story until after my trip because I’m going to set it in New York. Even I can see the sense in visiting the place before I write the story. There are also tax considerations for writing it after I get back. As mentioned in a previous post, if I write a story set in New York I can claim certain tax breaks against the expenses of my trip. (Writing related research and travel expenses are legitimate tax deductable expenses for me just like any other self-employed worker has work related expenses. If it’s on the table why wouldn’t I take advantage of it?) So that’s what I’m going to do – have a week in New York, come home and write a story that’s set there. That’s the theory. I also mentioned in a previous post regarding this trip that I was going to take my laptop with me and write as much of the story as I could on the plane (coming back, of course). That idea has since looked unwell in the water because of the recent laptop ban – I’m flying from Ataturk Airport in Turkey. It seems I can’t even take my Kindle with me because I’ll only be taking carry on luggage and any electrical item larger than a smartphone must now go in the hold. But they can’t foil me. I’m a CWAP. I’m innovative and creative. I spend my days making problems (I’m talking about my writing, not my life, although my wife might have something to say about that) and then solving them. Laptop ban! Pah! I might find it next to impossible to handwrite anything longer than a shopping list but I have a solution that will enable me to keep churning out the words for the whole of the ten hour flight. It might not make me popular with my fellow passengers but that’ll be their problem. Nothing should get in the way of art. Meet my secret weapon. That should fit on the tray table nicely. Clack. Clack. Clack. We were airborne. After half an hour waiting on the concrete apron for air traffic control to give us the green light we were on our way. We arrowed up through the low cloud cover that blanketed Istanbul’s Ataturk International airport, like a Trident missile fired from the depths of murky waters, to burst through the depressing gloom into the bright light of the troposphere. I felt better instantly. I turned to look at her. I was glad of an excuse to. It would have been rude of me to stare when she’d taken her seat but I’d wanted to. I’d got the impression of a youthful svelte figure as she’d stowed her hand luggage in the overhead locker. She had nice legs, long and slim, exaggerated by her tight jeans, and she smelt good. But I hadn’t managed a good look at her face. The quick glance I’d got had been mostly obscured by thick shoulder length hair. Full on she was nothing short of stunning. Turkish or of Turkish extraction seemed a fair assumption given where we’d come from – the olive tint to her flawless skin, the dark brown eyes and her almost jet black hair. She smiled at me. The flash of good white teeth only emphasised her colouring. And that accent – English with a subtle Turkish intonation. I was a sucker for it. I remember swallowing with a dry throat and my pulse quickening. I’d also noticed she wasn’t wearing any rings. Her English was excellent. Usually there was a clue in the grammar or word choice, pronunciation or intonation to indicate it wasn’t a first language and I was good at spotting it – matters of the English language were my business. She took it without hesitation. Her grasp was firm and cool, which made me think mine must feel hot and clammy. ‘Deniz,’ she said. I nodded and said, ‘Aren’t we all.’ She didn’t get it and it showed. I reminded myself that there probably wasn’t much evolution in Turkish education or culture (in both senses). I tried to cover up my stupid ‘joke’, ‘Have you been to America before, Deniz?’ I always like to let a woman know I can remember her name. ‘Thank you. And you, Alex? Is this your first time to visit America?’ She could remember names too. Touché. Her brow creased in puzzlement. The lines were back, only deeper. The ones on her forehead. Not the ones coming out of my mouth. ‘Ex-wives? As in plural?’ her ears were sharp and her English was very good. Her eyes widened. I let her know I was joking. She laughed. Again. I was encouraged that this could be a pleasant flight. I had a captive audience who was a single pretty young woman and she found me amusing. Things were definitely looking up. She laughed. She seemed to laugh a lot and it suited her. ‘Don’t tell me: research purposes.’ She etched speech marks in the air. We both laughed. I wondered if they’d put something in the oxygen tanks. I looked at the man sitting the other side of her in the aisle seat. His face was stony and hard as he tried to read his paper. I guessed they hadn’t. Or if they had he was immune to it. I felt I could be falling in love and we hadn’t left Turkish airspace. There was a natural lull in our conversation. I tried to think of something to say to keep it going. I realised that the longer I was quiet the more it might look like a reaction to her last remark. I thought that wouldn’t look good. ‘Maybe we are staying in the same hotel.’ she laughed. It wasn’t often my powers of speech deserted me. I looked up to see the timely and friendly face of a steward looming over us. He wanted to know if we’d like anything to drink. The three of us said we would and ordered. The hard faced man in the aisle seat had a Coke. Deniz had water. Because all drinks were included in the ticket price and I was British I had a beer. Deniz took my drink from the steward – can and plastic cup. Without talking about it she poured some of the beer into the cup for me and passed it over. It was a strange and lovely gesture. Turkish hospitality. I thought about proposing on the spot. Our hands touched briefly. I felt it in more than the skin of my knuckles. She laughed and everything was back to normal. I woke up feeling terrible. I squinted against the bright light coming in through the cabin window. I looked at my watch. My mind was a bit fuzzy and it took me a while to work out I’d been asleep for nearly eight hours. Eight hours! Where did that come from? I did some more maths to work out it was not far from midday local time and that it wouldn’t be long before we were shaping up to land. I was a bit pissed off at missing the meals I’d paid for. I just couldn’t understand what had happened to me. I only ever slept like that in my own bed and then rarely. I wriggled myself upright in the seat. My mouth felt like something had crept in there and had a poo. My eyes were gritty and sore. My shirt front was wet from dribble. I ran my fingers through my hair and realised it was sticking up at the back in what mum called a hen’s bottom. Nice. I remembered the woman to my right, although it took me a minute to remember her name: Deniz. I risked a look at her but she was fast asleep. It suited her. And it was a relief. I remembered we’d been chatting away quite companionably. I remembered she was very attractive and laughed a lot. And recently divorced. And well off. And in New York on her own for a week. I closed my eyes and swore several times at myself. Then I wondered how strong that Turkish beer had been. Things stayed pretty much that way until the steward came around telling people to get their chairs upright, stow away their tray tables and belt up. Deniz woke with a stifled yawn and then a stretch. I was well awake by then but still feeling crappy. ‘Pressured cabins,’ she said. ‘It’s not natural.’ She wasn’t wrong. We didn’t talk much after that. The plane descended. My ears suffered so that I could hardly hear a thing and they hurt. They always did. I wish someone could invent something for that. I wasn’t the only one suffering. A small child in the row in front of us was screaming with pain, not that I heard much of it, being temporarily deaf. It was my habit as a flyer to wait when the plane landed. I don’t understand the thinking of people who unclip and jump up to rummage around in the overhead lockers before the plane has even finished taxiing to a stop. Where do they think they’re going? They always end up standing bunched together for ages as the stairs are wheeled into position and things are made ready for passenger disembarkation. And then when these people are first into the terminal they have to wait around for the luggage to come through in baggage reclaim. Crazy. Stupid. Idiots. It was one of the reasons I always asked for a window seat. I didn’t want to be stuck in an aisle seat with two people sitting to the side of me making noises about wanting to get out and queue to get off. Eventually the doors were opened and like a drain being unblocked the people started flowing towards the exit. I waited. The man in the aisle seat had gone. Deniz didn’t hang around either once things started moving. She looked down at me and said, ‘Aren’t you coming?’I had to lip read this because I was still deaf. ‘I like to wait ‘til the crush has dispersed,’ I heard myself say as though listening through a hat with thick woolly ear-flaps. She nodded her understanding. ‘Maybe I will see you in New York.’ I think she said. Someone made a space for her. She filtered into the foot traffic and walked away. I was already planning on surprising her at the baggage reclaim carousel. I wasn’t about to let her get away so easily. But I really needed the toilet and a basin with running water first to freshen myself up and do something with my hair. I asked. I listened. I compromised. Yesterday I blogged seeking reader feedback for a cover I’d designed myself using an online website. I had a good number of responses through my social media sites and email. (They’re still coming in as I write this.) I would like to offer my sincere thanks to all who took the time and trouble to provide an opinion, even if it was just a click on the Facebook ‘like’ button. They were all read and valued. I probably wouldn’t have done a follow up blog post about it so soon (this one) but because of the responses I got and the nature of them I thought I would, as a courtesy to those readers who displayed an interest and because this blog is, as it always has been, my online public diary of my writing life and I will use any excuse to make an entry for posterity. Opinion on the cover was wide ranging. 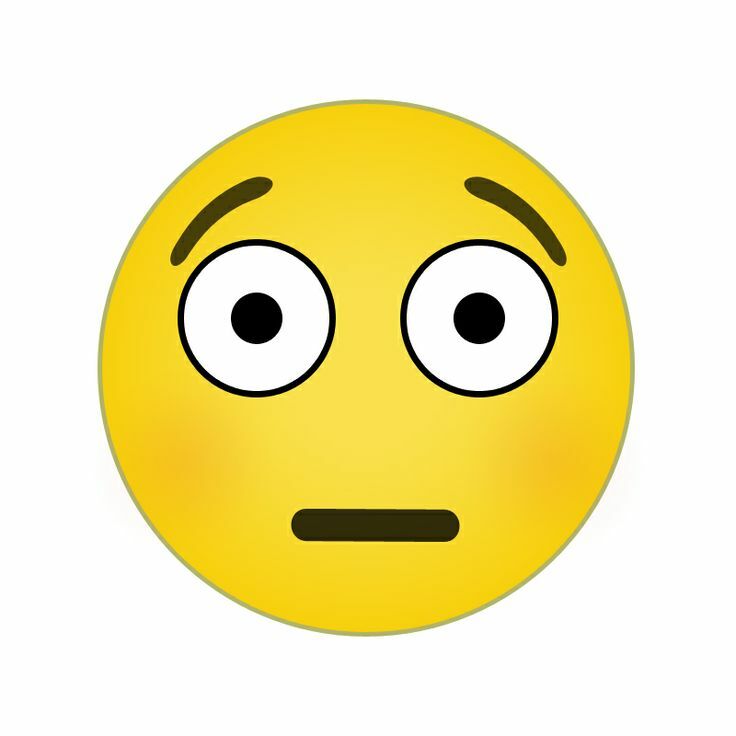 Comments on the blog, particularly, were less enthusiastic than feedback received through my Facebook pages and email. I would like to emphasise that every comment was appreciated and valued. I am a CWAP. I’m proud to be a CWAP and the acronym amuses me. I like the alternative of CWAP to ‘indie publisher’ or ‘self-publisher’ because while it does encapsulate the key elements of what I’m doing – Crime Writer Author Publisher – it also suggests that I don’t take myself too seriously. To thine own self be true. And this is a collection of short stories. Being a collection of short stories written by me (let’s face it, a nobody in publishing terms – hell, I’m a nobody in self-publishing terms) I can, I feel, confidently predict that it would not matter what I called this book – something really clever, witty and crime genre related, perhaps – because the only people who are ever going to download this book are my most loyal readers, unless I give it away, of course. Short stories, unless they’re written by JK Rowling or Stephen King or Neil Gaiman or a bunch of celebrities or one of the other really big commercial guns do not attract the kind of reader attention that full length stories do. Nowhere near. Fact. So this is a chance for me to have a little bit of fun. And why not? A couple of readers thought that the title could encourage some browsers to look again, ‘Does that say CWAP? Whatever can that mean?’ Maybe one or two of those will be moved to look closer. Maybe they won’t. Who can really say? But if one or two are that would make me happy. The very last thing I would want this lovely Sunday is for anyone reading this who responded to yesterday’s blog post to think ‘what did he bother soliciting feedback for if he isn’t prepared to take any notice of it?’ If you look at the tweaked cover above you’ll see that I have taken notice. I’ve used the tone of critical feedback to influence a change in the title that I hope will work as a compromise. I’ve kept something that is important to me but I’ve toned it down a little, diluted it, deflected the focus of it by making it clearer that the title of the book isn’t all about me, which I accept could suggest narcissism and self indulgence. Now, I like to think that the focus has switched to be more about the stories within – one of which carries the title ‘I, CWAP’, (at least it will when I’ve written it. Talk about making a rod for your own back.). All things considered this has been a really interesting little interlude in my writing week. And an unseen bonus is that it’s given me an idea for a bit of material to include in the final story I have left to write. Once again, my thanks to all who contributed. I’ve been playing around with a free online e-book cover design programme this afternoon. This is the result. If anyone has an opinion they’d like to share I’d love to read it – good or bad. Thanks in advance. One of the good things about working from home is that when your child is off school for a few days ill you don’t need to organise a babysitter. One of the bad things about working from home is that when your child is off school for a few days ill they end up at home with you. Not my most productive week. I’ve been working on my short story collection. I’ve had some ideas that I really like. And what these ideas have helped hammer home to me is the wonderful freedom involved in being a CWAP. I can CWAPing well do what I CWAPing well like. No one can stifle my creativity. No one can smother the ‘me’ element of my writing. Yeah, I know: maybe some of it needs smothering, toning down, tweaking for my own ‘commercial’ good because sometimes the ‘me’ element of what I produce doesn’t always chime with readers’ expectations or make good ‘commercial’ sense. While I freely admit to relying on the money I make from being a CWAP to live the dream, it shouldn’t always be about the money. And from happy experience I know that my very supportive readers are generally toleratant of my self-indulgences. I’m also thinking about including stories from different genres. Most of them are crime or crime related, of course, but I’m considering slipping in a couple of others. If readers don’t like them they can pass. The potential inclusion of these is not a cynical attempt to up the word count – the non-crime related stories only amount to five thousand words of the eighty thousand word plus total. So why bother? Because I can. That’s the point. They’re stories I wrote and am happy to be associated with, so ‘why not’ would be my response (after all, I’m a CWAP and I can do what I like, right?). If just one reader is pleasantly surprised by something they might not otherwise read that will make it worth it to me. I started the week with two stories left to write. Not long after making a start on the penultimate one I had another idea I liked. I decided to set myself the challenge of incorporating all of my fifteen book titles in it. It was a bit of fun for me. Because I’m a CWAP I could do that. And I did. Just. It’ll make a good quiz competition question when I do a future promotion. I’ve got one more short story to write and I’ve given myself another challenge with it. And the reason for the challenge is twofold. I’m going to New York at the end of this month. It’s not cheap. It’s even ‘less cheap’ when the person I’m going with is expecting me to pay for everything including flights, accommodation, food and two tickets for a Nix game (how much!!!!???? But as she keeps telling me, ‘you only live once, dad.’). Daughters. Sigh. Anyway, my accountant tells me that I can offset a certain amount of that expense against my taxes. On one condition: I write a story set in New York. That way certain of the trip’s expenses come under the heading of research related and any money a writer spends on research of a story that he/she then makes money from is tax deductable in the same way as any self-employed person can claim a tax allowance for work related outlay. So, I’m going to have to have a good look at the big apple for inspiration and a tax break while, hopefully, enjoying myself. It’s a long flight out and I don’t sleep well on planes so I’m making another part of my challenge to write the bulk of the story on the way there and on the way back. It’ll be something to do. Here’s hoping I don’t get stuck sitting next to some chubster who overflows the armrest and snores all the way there, or a screaming baby. I’m currently working my way through the ten seasons of ‘Spooks’, the BBC MI5 drama of a few years back. I’m rationing myself to one episode a night. If there has ever been a better British TV series I don’t know about it. The depth and consistency of quality is excellent. Brilliant writing. Brilliant directing. Brilliant acting. I cannot say enough brilliant things about the series. It’s … brilliant. A by product of my viewing is that after a few of the episodes I’ve turned the telly off with a good idea for a spin off story from it. One of the short stories I’ve written for my collection mentioned above is one of these and I have several more that I’d like to have a crack at. In that regard Spooks has been truly inspirational as well as truly entertaining. It’s made me want to be a part of something like that – as a writer not a secret agent. The Spooks’ tagline is ‘MI5 not 9 to 5’. Being a CWAP isn’t 9 to 5 either. And we both kill people for a living. Another true story from my writer’s life that I don’t know why I’m sharing. Part of my daily routine as a writer is a couple of hours at the gym. I do this at back end of lunchtime because if I didn’t I’d probably eat lunch. Because I sit down for about ten hours a day at my desk I really do need to miss some meals. It works for me. By the time I return home in the middle of the afternoon the appetite is gone and dinner time is something to look forward to. And the exercise is good for me in other ways, of course. Also, that break in the middle of the working day provides me an opportunity to reflect on what I’ve been scribbling in the morning while I turn the pedals of the exercise bike going nowhere for twenty minutes. On Friday I powered down the laptop, feeling good after a productive morning’s writing, although I was experiencing concerns regarding something a character had just done. It was bothering me. I tried to dismiss it and went to get changed knowing that a break would do me and the story some good. I run to the gym. It’s only a mile away. It’s my warm up. Because the weather has brightened up here and got a bit warmer I now run to the gym in shorts. Lucky me. I had my gear on and was sitting on the stairs by the front door lacing up my trainers, unable to switch off my writer’s brain completely when I detected this unpleasant odour. Was that my trainers? Actually no. After some sniffing around it turns out it was my shorts. It was only a few days dried sweat chucking up a bit. But I didn’t like it. And I’ve got plenty of other pairs of shorts. No problem. Into the bedroom, kick off the stinkers, hunt out a clean pair and… bang, the solution to my character’s problem hit me. I hurried to my desk and scribbled a note to self. Then the phone rang. Answer. Have conversation. End conversation. Check the time. Return to front door. Keys – check. Ipod – check. Water bottle – check. Leave home and jog down ten flights of stairs to greet the sunshine. Lovely. You don’t see many people running on the streets here for fun. In fact there are so few that the locals will often stare. I’ve got used to it. But this day a lot more people were taking a lot more interest in me. I couldn’t work out what formed the basis of this unusually high level of attention. I ignored it as best I could. It doesn’t pay to stare back. Dangerous. I got to the gym, jogged up the stairs, heaved in a few deep breaths and pushed through the double doors to reception where members collect their complementary towels. The tracksuited receptionist gave me a strange look and then a cheeky smile. She’s not often friendly so I smiled back and said hi. In Turkish. I picked up my towels and went into the gym area proper. I think I’ve mentioned before that it’s wall-to-wall mirrors. You can’t help seeing yourself sooner or later. On this occasion I saw myself sooner rather than later. And what I saw was that after I’d kicked off those stinking shorts, had my epiphany, scribbled a note to self and taken the phone call I’d forgotten to put on the clean shorts. I was standing in the gym, a mile from home in my boxers. The ones with little coloured balloons all over them. Awkward. With hindsight I wish I’d timed my run home. I reckon I might have managed a personal best. One thing I was glad about – my running jacket has a hood. I don’t go to the gym at weekends. I’m sure by Monday all will be forgotten, but I might try to find a different route. A couple of weeks ago I announced that my Booker and Cash stories had been taken up by a publisher. 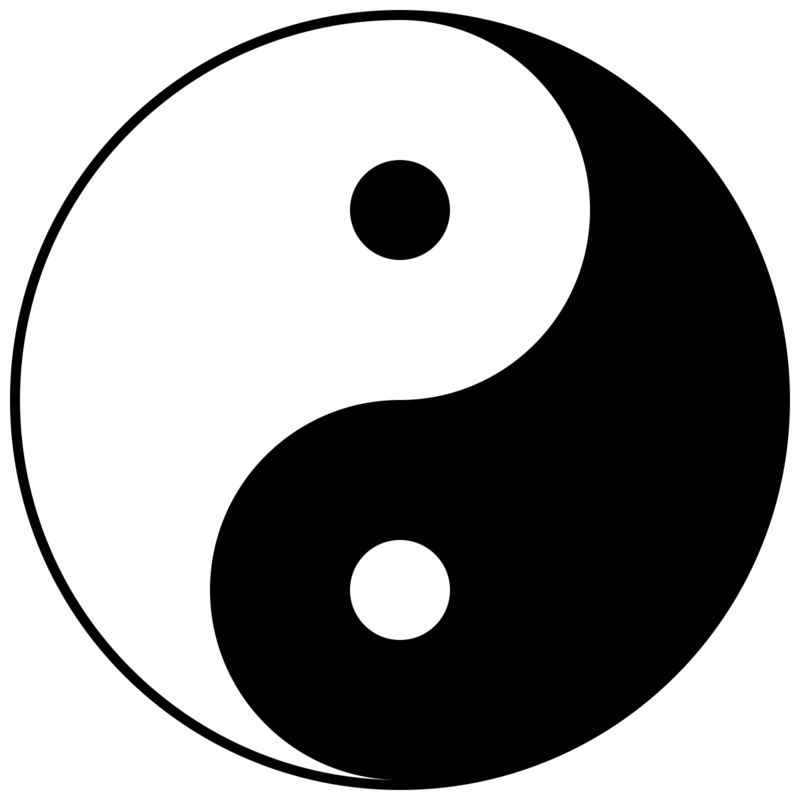 While that was great news for me the writer, like most things in life the yin has a yang. Making a living at anything is dependent on a number of things. Among the most important of these is being able to cut your coat according to your cloth. As Mr Micawber perfectly put it: “Annual income twenty pounds, annual expenditure nineteen [pounds] nineteen [shillings] and six [pence], result happiness. Annual income twenty pounds, annual expenditure twenty pounds ought and six, result misery.” It could be argued that’s as true for a multi-national company CEO as it is for a CWAP. In a narrower sense making a living as a CWAP is reliant on a few core attributes: good storytelling, good presentation, good marketing. Be competent at these elements and you can scrape a CWAP living. If you’re good at all of those things then you can make a better living. If you’re very good at all of these things you can make a very good living. If you’re very good at all the above, making a very good living as a CWAP and obeying Mr Micawber’s principal for happiness there is not the economic pressure to churn books out quickly. I’d venture that one maybe two a year will do it. I think I fall into the ‘competent’ category regarding two of the three elements mentioned above (and incompetent at the third – marketing.) Still, as that other oft quoted celeb of times past was known to wail, two out of three ain’t bad. Mainly thanks to other interests I get by. Just. One of the reasons I’ve ‘got by’ is because I’ve compensated for my lack of excellence at writing, presentation and marketing by regularly producing new books. This has enabled me to keep my name and content visible where it matters most to a CWAP – in front of readers. So to my yang. The last book I put out was Cold Kills in December. I had planned to release Poor Hands (Booker and Cash #3) by now ­- it’s good to go. And then in the summer Booker and Cash #4, a book I have a good start on and which will be my next completed full length novel. Now that Booker and Cash #3 is off my hands, so to speak, I have a huge void in my self-publishing calendar. (I can hardly rush out #4 before #3 is released.) And for a CWAP like me that’s not good. What to do? I have another book written but (a) it’s a complete change of direction for me and so unlikely to interest my regular readers and (b) I feel the need to have three books ready in that series before I think about releasing the first. It’s a series I’m intending to make something of and I want to do it right with a whole new audience. An important lesson I’ve learned from my CWAP adventure is that there is a far better chance of ‘success’ if readers have something to go straight onto after they’ve read a first in a series that they like. It’s all about momentum. I also have a number of shorter stories that I’ve been writing over the last year and a bit, and I’m working on another at the moment. I’m considering bundling them all together in one book and self-publishing them. Together the word count will amount to about seventy thousand words, which equates to a short novel. This could fill the void in my CWAP publishing life. I like the short story form. I like the stories I’ve written. I want to share them with readers and see what they think. This need to maintain some form of publishing momentum could be the kick I need to do something with these stories that would otherwise just clog up my hard drive. I also want/need to keep my writing visible and, yeah, I want to continue to make a CWAP living because I do enjoy sitting at home all day writing stories for a job.